was a German-born naturalist and scientific illustrator, a descendant of the Frankfurt branch of the Swiss Merian family, founders of one of Europe's largest publishing houses in the 17th century. We offer a true quality nobody has; and for a price nobody is offering you for a comparable quality. This print was photographed using the latest technology, colour matched to the original illustration and then reproduced at the original plate size. A Museum Quality Limited Edition print, original size, signed, numbered and blind stamped. Indistinguishable form the original when glazed and framed. Original: In 1699 the city of Amsterdam sponsored Merian to travel to Surinam along with her younger daughter, Dorothea Maria. Merian worked in Surinam (which included what later became known as the French, Dutch and British Guianas) for two years, travelling around the colony and sketching local animals and plants. 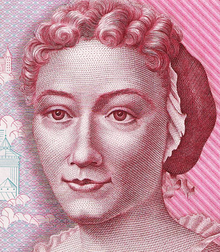 She also criticized the way Dutch planters treated Amerindian and black slaves. She recorded local native names for the plants and described local uses. In 1701 malaria forced her to return to Netherlands. Back in the Netherlands she sold specimens she had collected and published a collection of engravings about the life in Surinam. In 1705 she published a book Metamorphosis insectorum Surinamensium about the insects of Surinam.